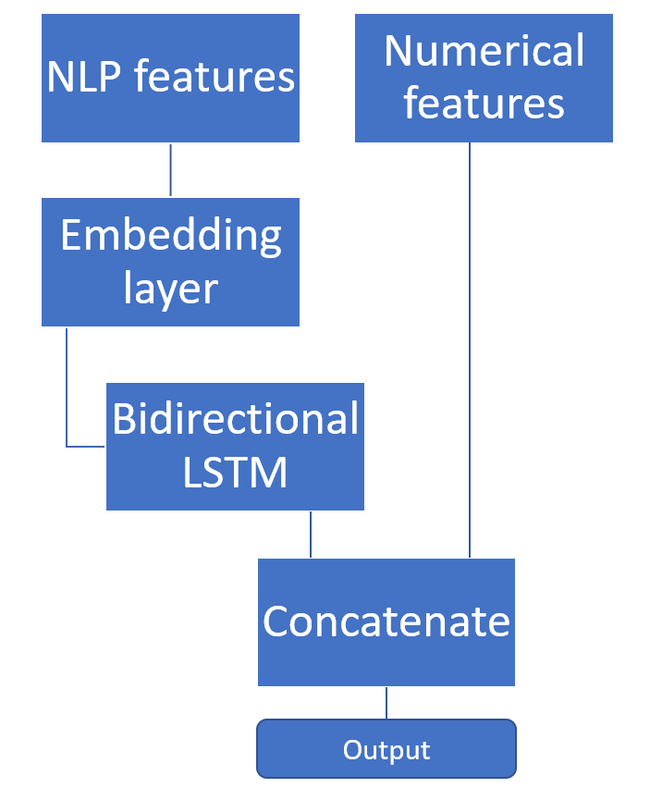 In this post I will show how to combine features from natural language processing with traditional features (meta data) in one single model in keras (end-to-end learning). The solution is a multiple inputs model. 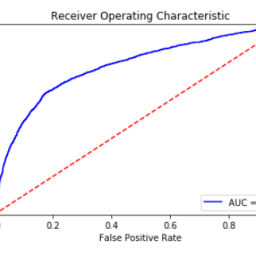 Scientific data sets are usually limited to one single kind of data, for example text, images or numerical data. This makes a lot of sense, as the goal is to compare new with existing models and approaches. Anyway, often ml models combine more then one single data source and therefore deal with different kinds of data. 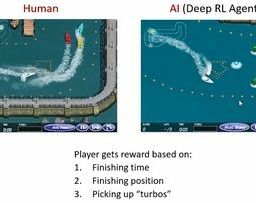 To utilize end-to-end learning neural networks, instead of manually stacking models, we need to combine these different feature spaces inside the neural network. Let´s assume we want to solve a text classification problem and we do have additional meta data for each of the documents in our corpus. In simple approaches, where our document is represented by a bag of words, we could just add our metadata to the BoW vector, and we are done. But when using word embeddings it´s a bit more complicated. The easiest solution is to add our meta data as additional special embeddings. In this case we need to transform our data into categorial features, because our embeddings can exist or not exist. This works if we increase the vocabulary size by the number of additional features and treat them as additional words. Example: Our dictionary is 100 words and we have 10 additional features. In this case we add 10 additional words to the dictionary. The sequence of embeddings now always starts with the meta data features, therefore we must increase our sequence length by 10. Each of these 10 special embeddings represent one of the added features. There are several drawbacks with this solution. We only have categorical features, not continuous values and even more important our embedding space mixes up nlp and meta data. 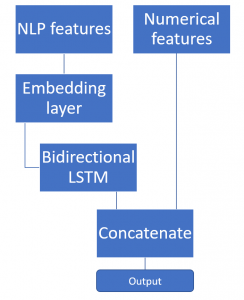 We use a bidirectional LSTM model and combine its output with the metadata. Therefore we define two input layers and treat them in separate models (nlp_input and meta_input). 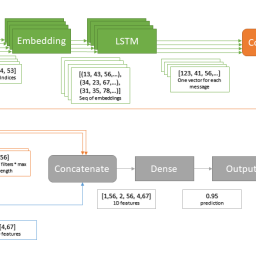 Our NLP data goes through the embedding transformation and the LSTM layer. The meta data is just used as it is, so we can just concatenate it with the lstm output (nlp_out). This combined vector is now classified in a dense layer and finally sigmoid in to the output neuron. This concept is usable for any other domain, where sequence data from RNNs is mixed up with non-sequence data. The output of an LSTM is representing the Sequence in an intermidiate space. That means the output of the LSTM is also a special kind of embedding.